We’ve realized it’s been a while since we’ve updated the What We’re Watching list on MyDramaList. In this episode, we’re realizing just how long it’s been, when we compare what it thinks we’re watching and what we’re ACTUALLY watching. It’s time to update accordingly. What dramas are going to stay on this list? What dramas going to get dumped like last year’s drama trope? …also some stuff about Kpop. NCT TEN ‘DEVILS’ Dance Practice _THE STATION ver. 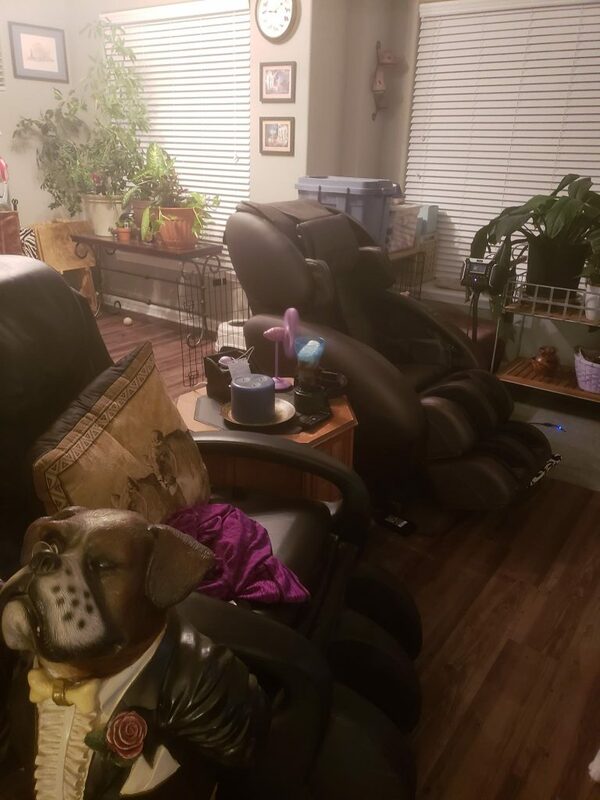 The massage chairs where Stephanie is housesitting. Stephanie is relaxing in a massage chair. Stephanie apologizes that you don’t have a massage chair. She also apologizes, because she realizes she is so relaxed she can’t think of anything she needs to apologize for.